Our construction team and company directors at FBJ have a hands-on approach, and are involved in every aspect of your project from start to finish. We are here to assist our clients with all aspects of project design and construction. We provide tailor made solutions to suit everyone’s needs, and budget. By choosing FBJ, a registered building practitioner, you can be confident that your project will be completed by a company with the necessary expertise and adequate documentation to enable compliant construction of your premises. 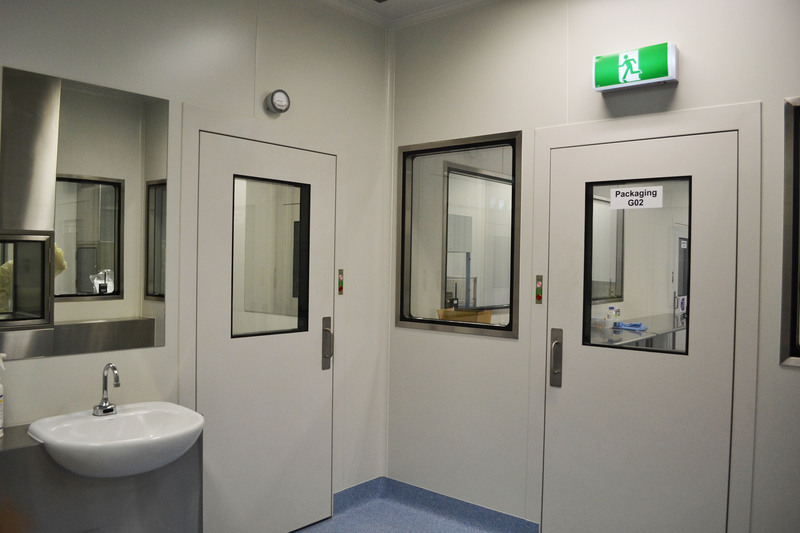 We offer an extensive variety of construction materials from the very advanced Dagard modular cleanroom system from France, to a standard plaster type partition system, ceiling and doors available locally. The material choice is usually dependent on the classification of your new or current facility and what you are trying to achieve for your product. We can offer a complete range of material types and ensure they will meet compliance regulation. We can also provide products that provide, fire safety, acoustic and hygienic performance standards. We have an option to suit all budgets. Our experience covers the following classifications.